I don’t know why it has taken me so long to get to Pron in Linden. I’ve been hearing rave reviews from so many people but somehow they’ve been open for nearly a year and I only got there for the first time last week. 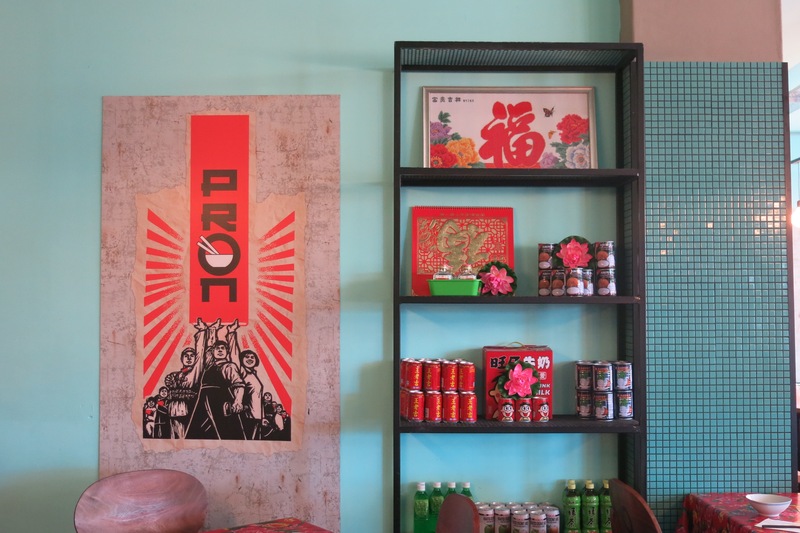 Pron is Emma Chen’s second Johannesburg masterpiece. 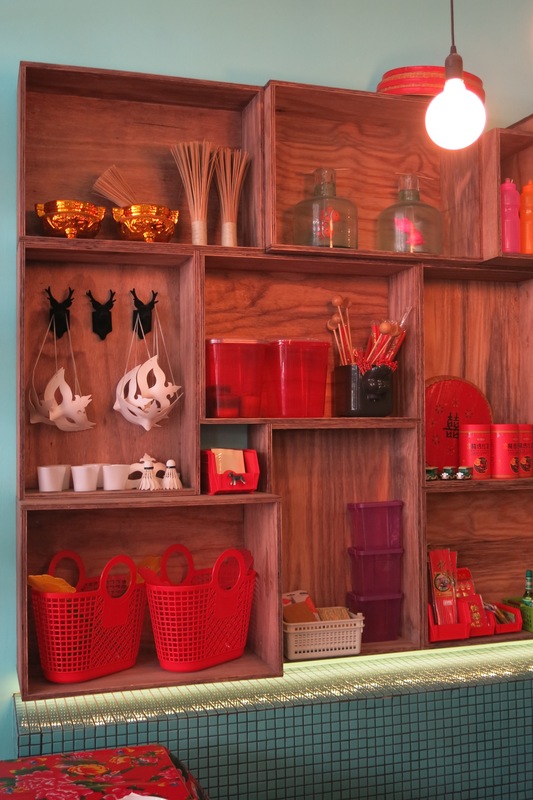 Her first is The Red Chamber in Hyde Park. She certainly has the recipe for success. 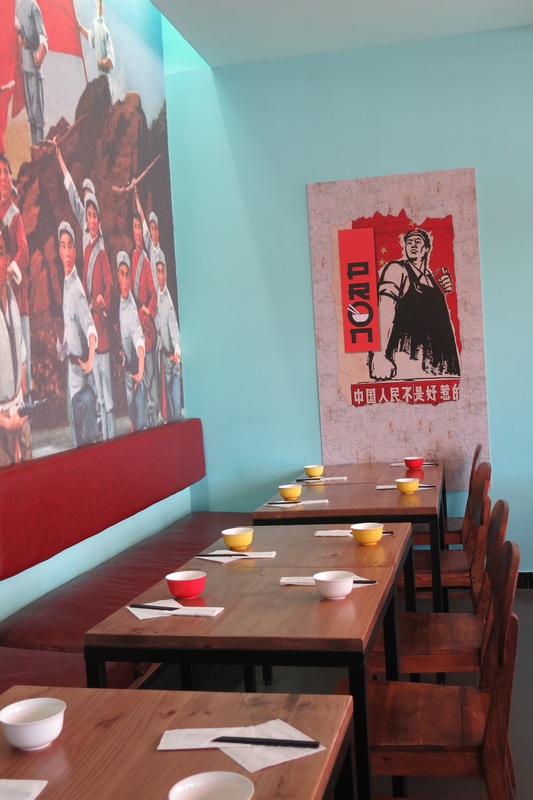 Pron is beautifully decorated, in tasteful Chinese style, with a hint of revolutionary energy. 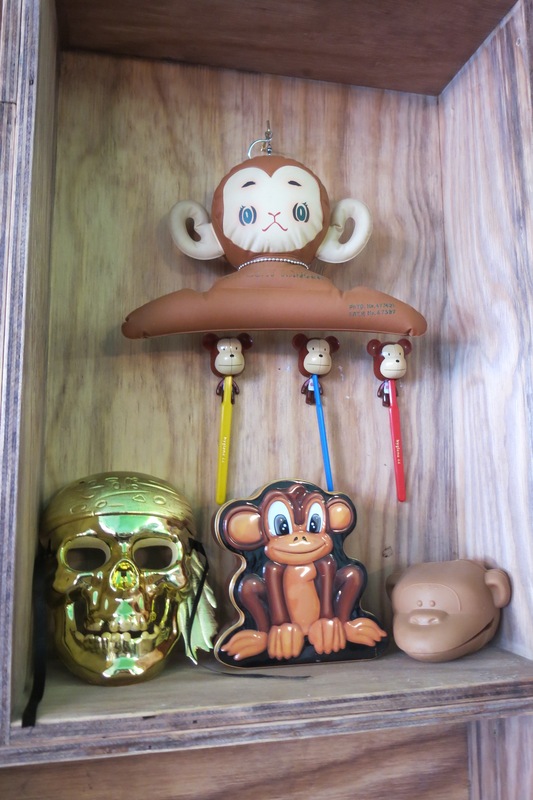 There are a number of quirky trinkets and toys for sale (made in China, I’m sure), along with tins and bottles of delicious delicacies. And the food! Man, the food is delicious! 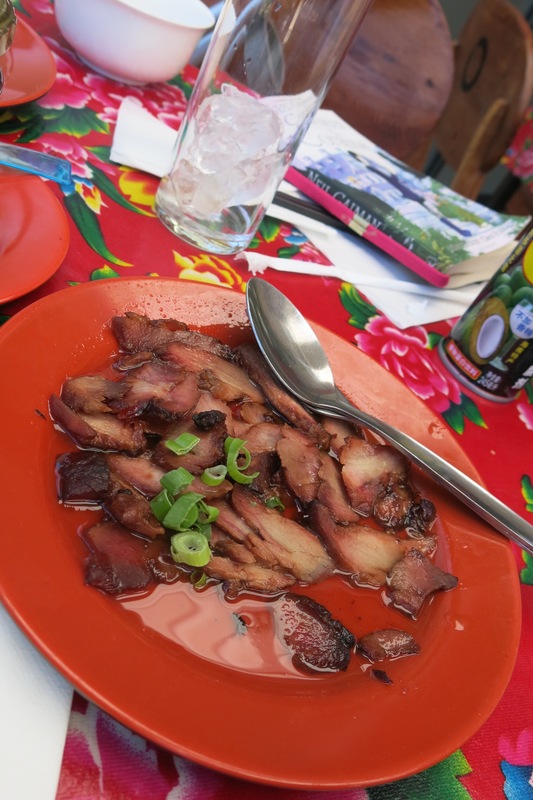 We opted for the noodles with duck leg, pork slices and also some hand-break bread. 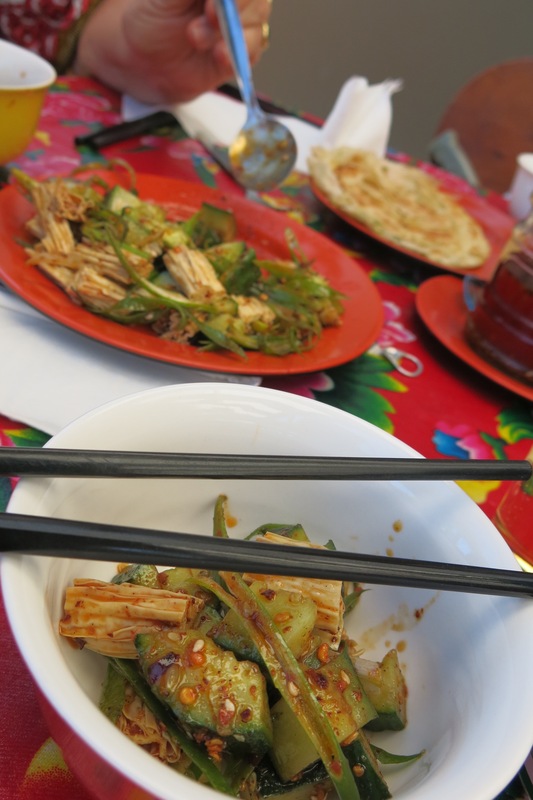 Oh, and the most spicy, delicious tofu and cucumber salad. The portions were a decent size (in fact, the waitress recommended that we don’t each have a bowl of noodles because they are big!) 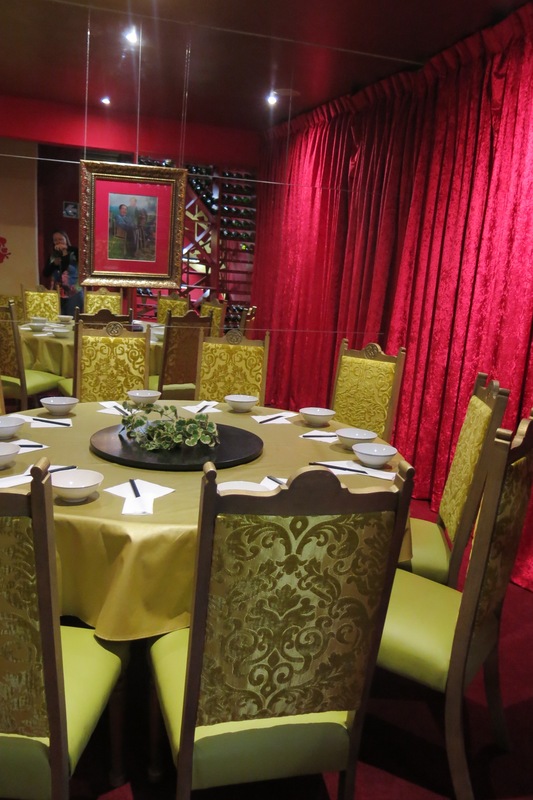 and even my 9-year-old enjoyed the food, and she doesn’t often find food that she likes in exotic restaurants. We were most impressed. 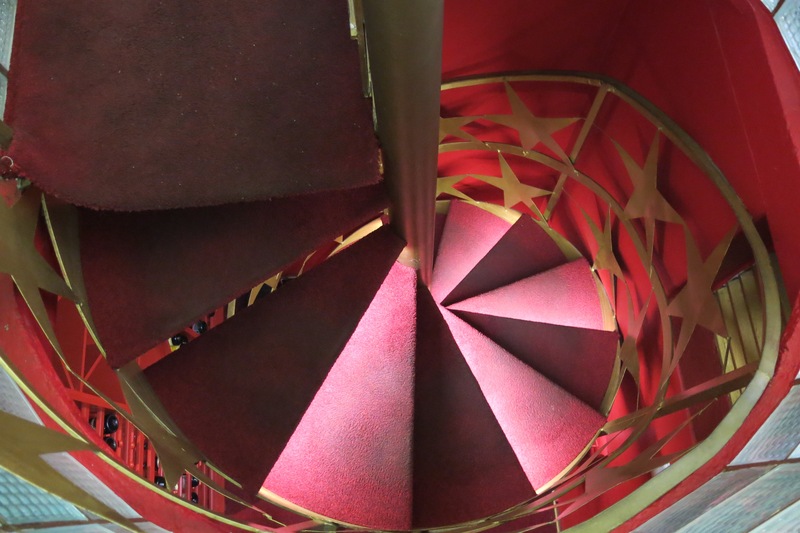 We also discovered a secret stairway to a private room below, which would be a perfect spot to plan a little revolution or have a small private party. It’s definitely not for those who struggle with stairs. 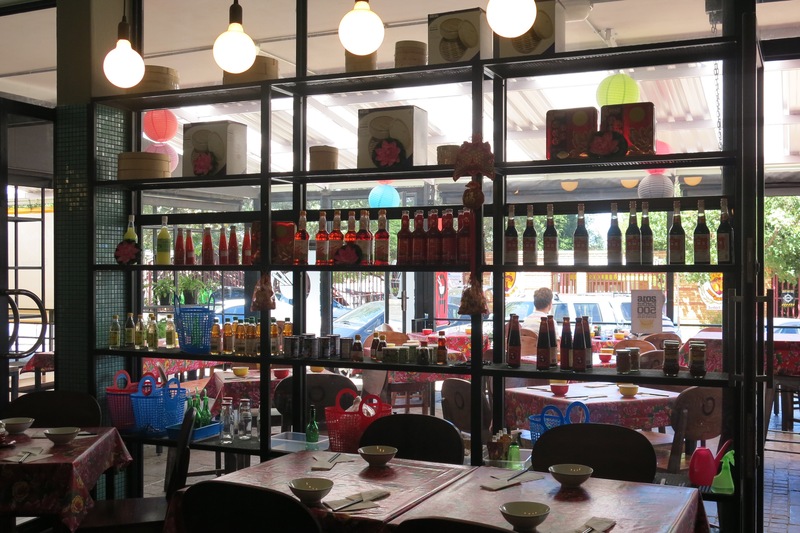 If you love authentic Chinese food (and I don’t mean the standard sweet-and-sour/ fried rice options one finds at most Chinese take-away shops), you should get to Pron in Linden (just next to the Cheese Deli – on 7th Street). You won’t regret it.